Yesterday I finished my entry to my own Big Shot Lots of Layers swap and here is my finished card... 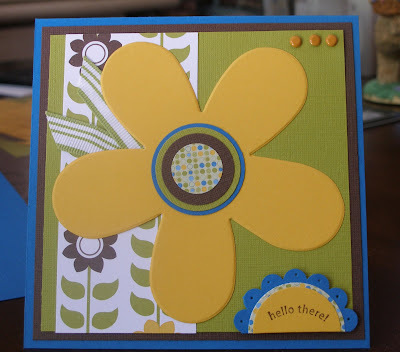 I love this large flower... gonna run and scrap some with this same theme... Don't you just love the color combo??? Gotta hand it to Stampin'Up!